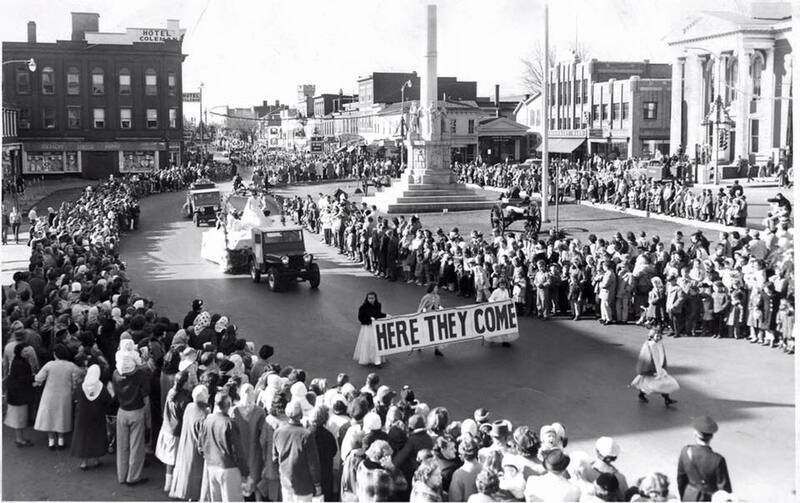 ​Hoover’s request was approved. 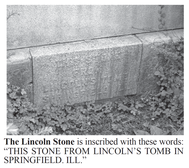 The only stone ever removed from Lincoln’s tomb was given to the people of Mifflin County. 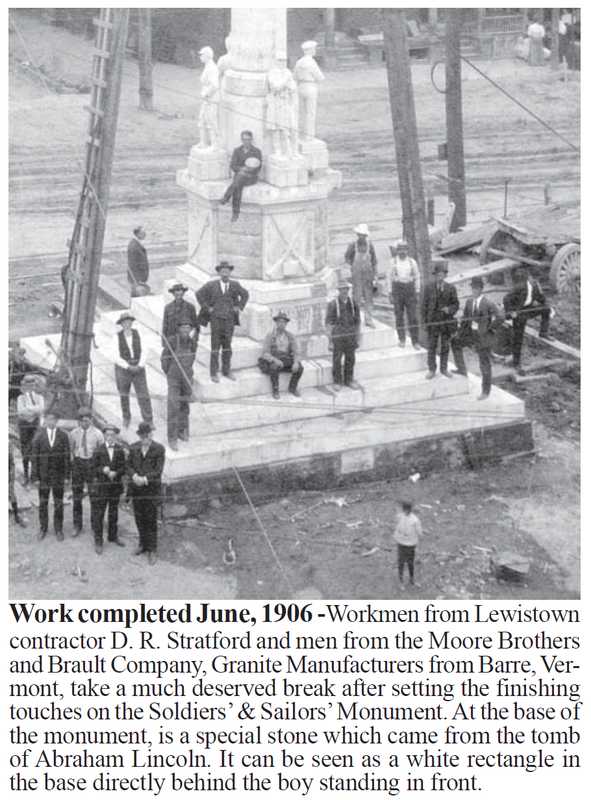 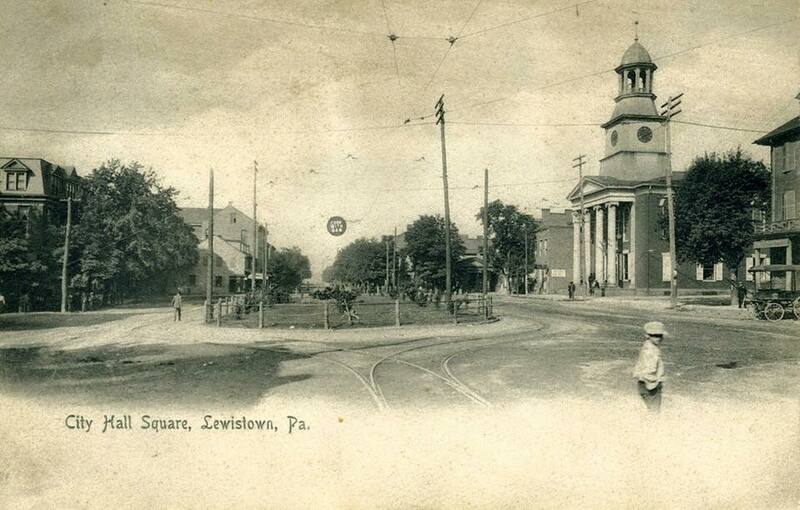 The 14 by 24 inch granite block was sent to Lewistown by rail from Springfield, on condition that a monument be built in the town square. 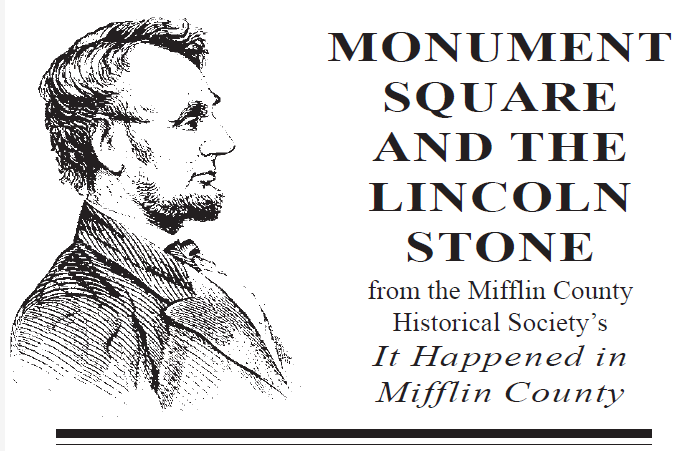 The stone was placed in a street window of the Mifflin County National Bank on Market Street to aide the fund raising effort. 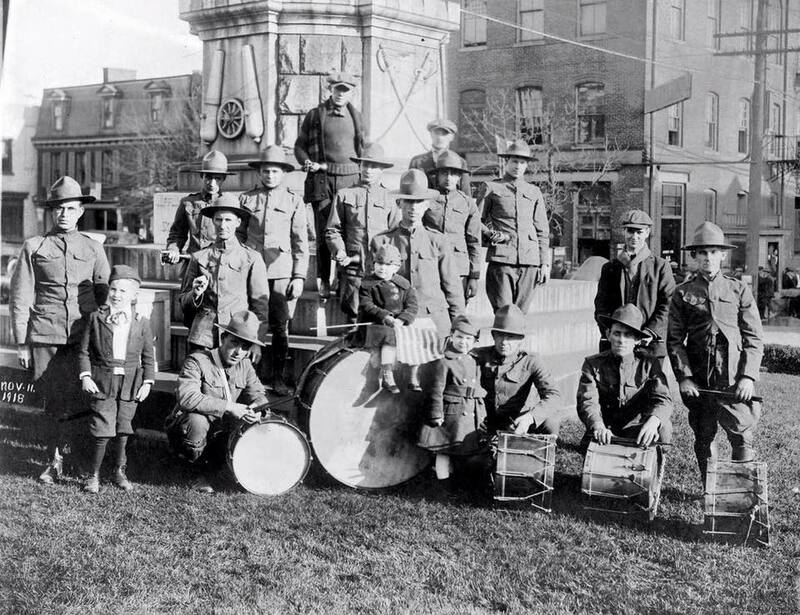 Some individuals offered matching fund to spur interest, children got into the act saving pennies. 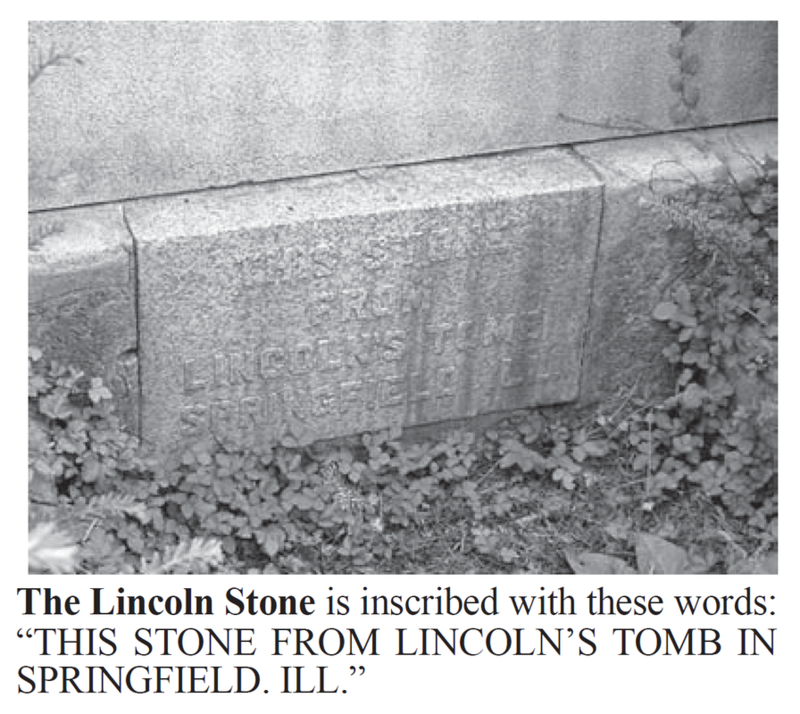 ​On May 7, 1906, a ceremony was held to place articles in a cavity behind the Lincoln Stone. 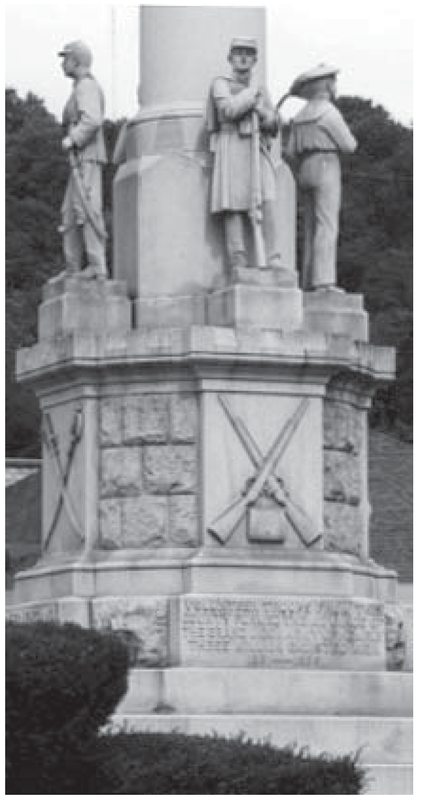 A heavy glass jar was used to hold a list of soldiers from Mifflin County in the Civil War, a button and badge from the G. A. R., other military records from the Civil War, United States coins for the five years of the war 1861 - 1865, plus an 1895 Lewistown Centennial medal.